Social media management is constantly changing and adapting, evolving in line with the latest trends, platforms and strategies. From exciting new apps and sites to fresh developments, nothing is ever static in the world of social media. Of course, some people are naturally more clued up about the online environment than others. From experts and industry professionals to brands, businesses and bloggers, the beauty of social media is its accessibility and creative freedom. You may be forgiven for thinking that social media can’t really have that big an impact on the success of your brand, but in truth, developing and curating a strong online presence is key. Becoming ever more relevant in today’s digital world, many experts believe that social media is the way forward for brands who are serious about their digital marketing strategy. Social media is one of the building blocks that, when put together, contribute to an effective online marketing strategy. Alongside SEO, PPC and content marketing, social media management can provide a useful way to interact with customers, clients and others within your industry, as well as contribute to your business’ unique brand identity. It’s a multi-faceted tool with plenty of uses and even more potential – is your business’ social media strategy up to scratch? And, similarly, where exactly do social influencers fit into all of this? What Role Do Social Influencers Play In Business? Increasingly, brands are looking to target authoritative bloggers and social media users to harness the reach and influence that they command online. 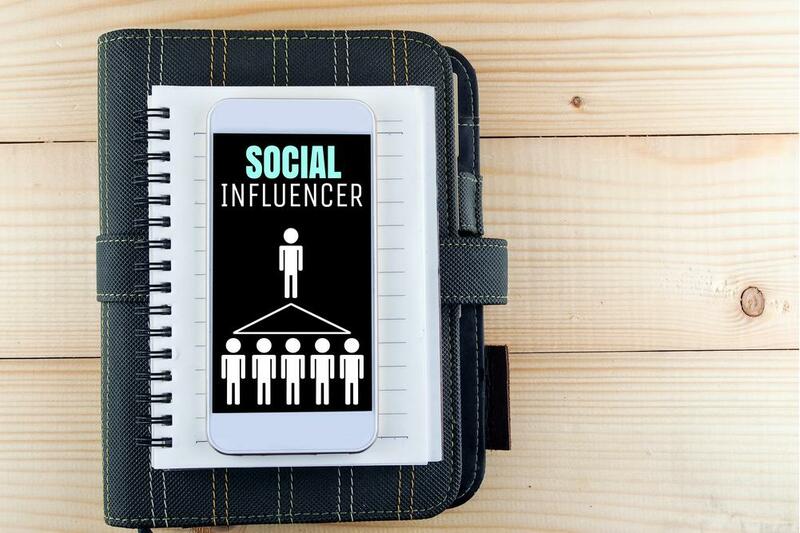 Social influencers come in many different shapes and sizes, but those most valuable to businesses will have a large, engaged and connected audience within their specific niche. Through their authenticity and following, they will be able to influence members of their audience – a particularly useful marketing tool for brands. Each influencer has a pre-existing audience of loyal followers, people who trust them and are far more likely to follow any advice they give. Audiences identify with social influencers because they can easily relate to them - the exact reason why they are so valuable. Over recent years, social media influencers have become increasingly commonplace in terms of brands, marketing strategies, and budgets. Whilst reach and growth are arguably two of the biggest benefits for brands collaborating with influencers, these unique partnerships can bring many more benefits to the table. Driving traffic, developing your link profile and brand voice are all additional reasons to tap into the social influencer phenomenon, but the real beauty is that creativity rules the roost in terms of influencer marketing – the more unique and creative an idea, the more memorable it is likely to be. Of course, navigating the murky waters of digital marketing can be a tricky task – especially if you don’t have a background in the industry. However, the benefits of an efficient online marketing strategy are clear to see. Social media management is a key component of the most effective campaigns; perhaps it’s time to consider what social influencers can do for you?